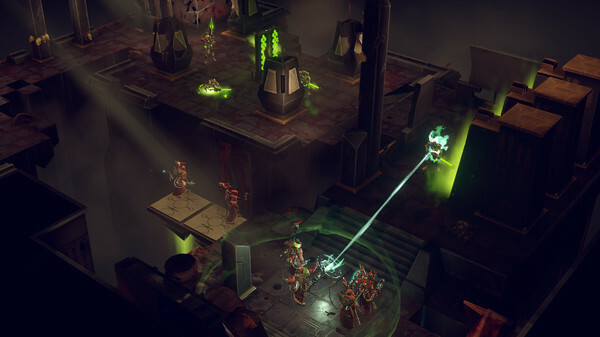 Warhammer 40,000: Mechanicus from Bulwark Studios and Kasedo Games can now be played natively on Linux with their beta now in a 'soft launch' mode. Since the Linux version is only available on Steam with an opt-in beta, you may need to do a little trickery. Since there's currently no way on Steam to pick between a native title or Steam Play, you will probably need to restart Steam once you opt into the "p-t-r" beta branch so it doesn't try to install it with Steam Play. To do access it, right click on the game in Steam and go to Properties. From there, hit the beta tab and select "p-t-r" from the drop-down box. They're asking for bugs to be reported in this linked forum. Currently, it seems the intro video doesn't play but other than that from reports it seems to run okay. We've reached out to their publisher to get a copy for testing too. If interested in trying the beta, find it on Steam. And bonus : the saves from my game via Proton are compatible. I dom't really care as i started a new game, but it's nice.